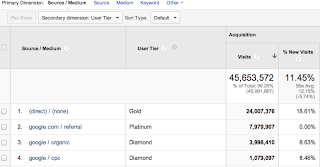 Custom Dimensions is a new Universal Analytics feature that allows you to bring custom business data into Google Analytics. For example, a custom dimension can be used to collect friendly page names, whether the user is logged in, or a user tier (like Gold, Platinum, or Diamond). 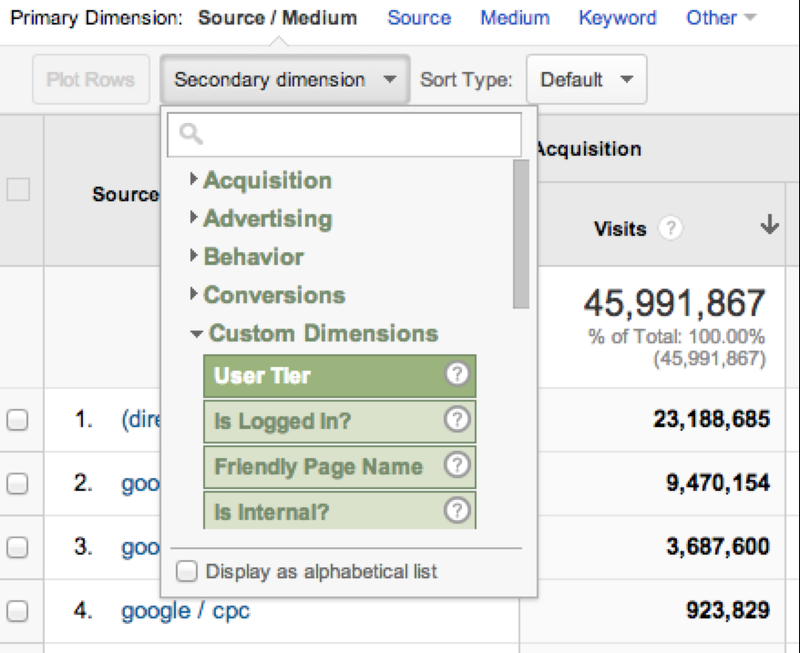 By using Custom Dimensions in secondary dimensions, you can now refine standard reports to obtain deeper insights. 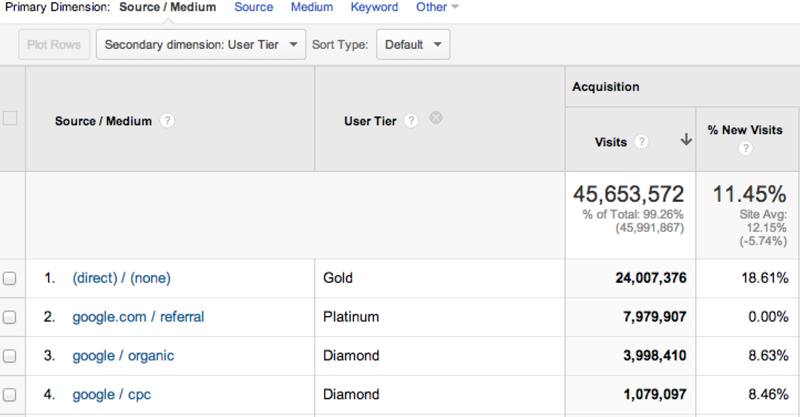 In the report above, Direct Traffic delivers the most traffic, but these are Gold users (lower value). At the same time, Google Search delivers the third and fourth most site traffic and these are Diamond users (high value). Therefore, data shows this site should continue to invest in Google Search to attract more high value users. 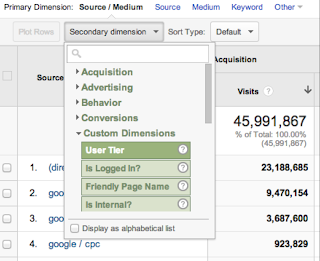 The new data in secondary dimensions gives analysts a powerful new tool. We’d love to hear about any new insights in the comments. Today we’ve added many new secondary dimensions to standard reports, including the much-asked for Custom Dimensions.